One of the largest countries in Africa and the world, very little is known about contemporary Sudan. In 2006, German social worker Enikö Nagy went to Sudan to work for the DED (German development agency) on capacity-building projects with NGOs and rural communities in Kordofan state. Inspired by the people she met and their unique way of life, she set out to document the everyday rituals, colours and sounds of life in Sudan over a number of years. During this time, Sudan became two states. Some of the regions she travelled to for her book Sand in My Eyes: Sudanese Moments (published 2014), such as South Kordofan and Blue Nile State, are currently inaccessible due to conflict. I put some questions to the photographer & author about Sudan, her inspiration, the process of putting such a unique book together, and the relevance of orality and nomadism in the modern world. 1 – A journey of a thousand miles starts with a single step. What set you off on your journey? The rural and nomadic communities in North Kordofan that I worked in had their own unique social culture. There was something very special about it: the self-governed rural village communities, the sense of freedom in nomad communities, the way people celebrate happy and sad occasions, respect for elders, traditional methods of reconciliation and settling disputes, rites of passage, and the rituals that connect people to their inner life. The kindness, friendliness and generosity of the people there reflect a particular life philosophy. I had to look into that. I also felt that the world needs to know about this. These cultures and their way of life are an important resource for the world. I feel there is medicine in it. 2 – You were born in Romania to ethnic Hungarian parents and moved to Germany as a refugee in your childhood during the Ceausescu regime. Was your background instrumental in helping you to identify with the multiple ethnicities in Sudan? My life has never been about one single culture; there have always been at least three involved. I grew up knowing there are alternative options and other ways to do things. I was always looking for those other ways and later it became my profession. I’ve now taken it even further and made it my own project. Identity and belonging are relevant questions everywhere. All the three countries I have lived in have a recent history of separation or reunion; I have seen how the world changes and that nothing is set in stone. I don’t believe in limitations or barriers; maps and physical features are not what define people. I am very versatile and I think the diversity of Sudan works well for me. One of my earliest childhood memories, in Romania, is of New Year’s Eve when our fathers, at midnight, after a glass of wine or two, would stand in the courtyard and loudly and passionately sing the Hungarian national anthem, which was banned at that time. Everyone would stand there with a solemn face. When they finished, our mothers would drag them inside to avoid the repercussions of the security apparatus. Even if you were 5 or 6 years old and you didn’t really understand what was happening, you were aware that there are things that matter and that need to be protected actively. I think now, 30 years later, I am coming full circle in a way by working on intangible heritage, which entails such things. Songs, poems, traditional dress, customs, recipes, languages and values: I now know it’s called intangible heritage but it has been a theme throughout my life. I’ve done it with the Sudanese culture but I think on a certain level it was a tribute to all cultures, including my own. 3 – Sand in My Eyes offers a window on the daily life and philosophy of the Sudanese people through images and words in a literary picture book. What inspired that concept? It’s not a traditional picture book. I’ve often seen more behind the lens because it shuts off the rest of the world. You start seeing more and details are in sharper focus. There are about 550 photos in the book, but perhaps it’s best described as a text-picture book as the images were inspired by the concepts of the texts: proverbs, fables, legends, myths, anecdotes, extracts from songs, rituals, laments and others people use in everyday life. They provide the context. The poetry of a people illustrates the deeper fabric of their lives. Showing daily moments in Sudanese life in their beauty and oddness coupled with the text adds another level of understanding. It is more than texts and photos: together they transmit a feeling and some substance. 4 – It took over 6 years to put together. How did you go about doing this, collecting all this information and what was involved in the process? I travelled 30,000km for the photography, and collected oral literature from about 45 tribes and ethnic groups altogether. I travelled with nomads. I stayed in the villages with farmers. I spoke to sheikhs, tribal leaders, singers, poets, shamans, elders, as they are the people who are traditionally the keepers of cultural knowledge within their communities. I also attended rituals and ceremonies. In nine months of travel, I took more than 20,000 photographs and collected about 2,400 pieces of text, which then had to be typed, transcribed and analysed. Sometimes people would remember only a part of the story and you had to go and find the rest of it and confirm sources. There are many local Sudanese languages, so I had to find regional specialists, and they then had to be translated and edited. Transferring oral literature to a written form was quite a challenge but the skilled English and Arabic editors dealt with it capably. Then there was work on the design and layout. There was no publisher. Instead I convinced Sudanese companies to finance most of it and worked with freelance specialists. The editing and translation process alone took about two years. It was only then that work started on the notes at the end of the book, providing useful information about the many poets quoted, and which show the many countries, diverse origins and cultures from Asia, the Balkans and elsewhere in Africa that have inspired and contributed to Sudanese culture. That was not the only international dimension: the design was done in Germany, the English editing in Britain, the Arabic editing in Australia and the printing in Thailand. 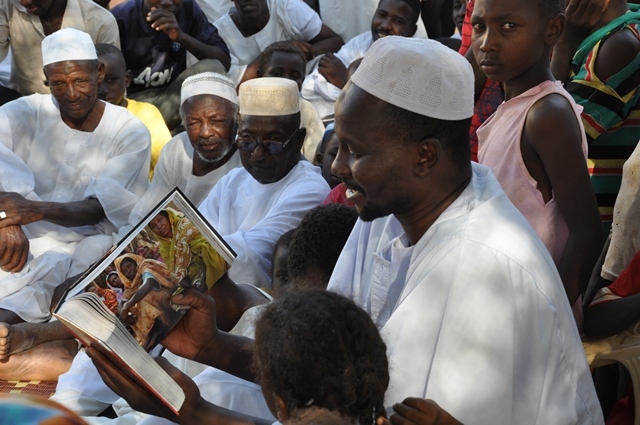 5 – Illiteracy is high in Sudan and much folk literature is oral by nature. In a world that is increasingly dependent on the written word, what relevance does orality have? I think there is a misconception in the world in ascribing cultural supremacy to cultures that read and write. Oral culture is not worth less than reading and writing; it is just something else. As much as I believe it is important for people to be able to read and write to communicate, oral literature deserves its own space. The book, I hope, can correct that view a little. The cultural heritage in Sudan is largely intangible, which is typical for people with a nomadic background, and lies in a plethora of subtle interpersonal dealings and relational levels, a deep knowledge of humanity and sophisticated codes of conduct – a human wealth carried along and expressed in customs and traditional narratives. In going from an oral to written culture, a certain kind of social culture changes with it because oral literature always entails the process of narration and transfer. It’s part of the process and part of the healing qualities oral literature has; children are educated through stories and metaphors to solve problems and orient themselves in the world by people they respect and trust. I think certain modern forms of communication have advanced the speed of information but they have lost the depth of it. Oral literature cannot be entirely replaced by modern communication because modern communication serves other purposes. I believe the personal interaction that takes place when passing on oral literature in these cultures is worth being protected. Orality has complete relevance today. 6 – Little is known about Sudan outside of the country and within Sudan, the focus is usually on the Northern State or the capital. Why did you choose Kordofan as a window on Sudan? Kordofan has been a trade centre for the whole of Africa, not just Sudan, for hundreds of years. Many people came as traders and in other roles from all directions and left their footprints, so it is a miniature of Sudan in many ways. At the same time, it was geographically in the centre of the country. Sudan is very big so it wouldn’t have done justice to my subject if I went all over the place and then said I had covered Sudan. This region alone is bigger than Germany. It was very challenging to do just that much and I think it’s fairer to say just look at the beauty and diversity you find there and then try to imagine what the rest of Sudan must be like. Aside from that, I felt that whatever people abroad do know about Sudan – politics, economics and so on – they do not know about the people. It was a challenge to take a region which is underrepresented in the country and underrepresented abroad to act as an agent for the rest of Sudan. It was meant to be an act of reclaiming culture. I hope it also becomes an agent for a new type of reading, for a new way of looking at people and countries from their human perspective. 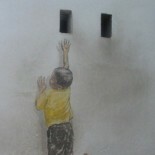 I especially hope that a place that has often gone unnoticed can start off a new way of thinking. That would be great! 7 – The project started in 2008 and in 2011 Sudan became two states. That was not foreseeable when you started. What impact has that had on the book and on the Sudan you were documenting? The new situation had practical implications for the production of the book but it didn’t have a big impact on the subject itself, because if you want to find what makes the soul of a people, you have to look very far and wide back in history to pay tribute to the many different influences and roots of their culture. The book is basically about Sudan as a cultural region which covers everything from the Niger in West Africa to the Nile in East Africa and the Sahara in the north down to the savannah under South Sudan. From this huge region, the ancestors and the many different tribes and ethnic groups who were drawn together by the Nile shared their cultures for hundreds of years, so the impact of recent borders are rather irrelevant to the project. A traumatic experience like this happens on administrative levels but you can’t take it away from the people. On the contrary, this is perhaps the last book that looks at a cultural region and pays tribute to all influences. There are texts in the book from South Sudan. 8 – We live in a globalised world of fast digital communication and megacities. High-speed travel also means people travel a lot more and the mass movement of people for work and other purposes is quite common. What relevance does being a nomad have in the contemporary world and how does it differ from jet-setting or travel for work, for example? The supremacy of sedentary cultures means that people tend to think that nomad life is from a bygone era. I’m happy to say that it’s not. In Sudan, nomads play a major economic role. They produce livestock and meat for the whole country; they will exist as long as this is needed. I think that the fact that these types of alternative lifestyles exist is very relevant for the world; they offer an alternative option. Every type of life has its own type of wisdom and it puts our own into perspective. The main concepts in nomad life are renewal, freedom and a strong sense of community. Whenever I’ve interviewed nomads here, they have always mentioned that. People often think that nomads are hermits. They are basically commuters; they usually travel certain routes, from north to south or east to west with the seasons because of their livelihood – their livestock. Their social life is built around the seasons. Nomads are not lonely people; they travel with their families. I think that is perhaps one difference to people who have to do a lot of business trips and spend a lot of time in hotels. For work, they normally travel alone but nomads take their entire family with them. One elder described it as their idea of bliss and perfection: you sit on the back of your camel, with your herd in front of you, and your family around you and you have everything. They don’t have bank accounts, they don’t store things; whatever they need in life is there with them and their entire life moves with them to the next good place. Good always lies ahead; you are always heading towards it. It’s an idea that is worth trying to transfer to our modern lives in whatever way that might be possible. Aisha Maniar is the English-language editor of Sand in My Eyes: Sudanese Moments available for purchase via Amazon. 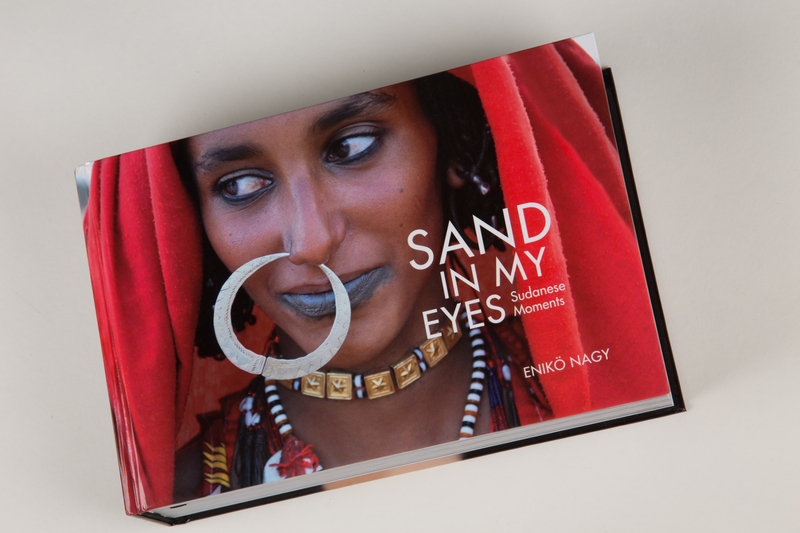 A travelling exhibition of photographs from Sand in My Eyes: Sudanese Moments launched in Munich in October 2014 and will next display in Berlin from 10 February 2015 before travelling elsewhere in Europe and beyond. It was a pleasure talking to you. Great writing! I love reading your pieces. This entry was posted on February 4, 2015 by Aisha Maniar in Interviews, Translation and tagged Africa, alternative lifestyle, Blue Nile State, communication, conflict, culture, Darfur, DED, Eniko Nagy, Germany, Hungary, identity, illiteracy, intangible heritage, language, nomad, Nomadism, North Kordofan, Nuba Mountains, oral culture, oral literature, Orality, photography, Romania, Sahara, Sand in My Eyes, South Kordofan, South Sudan, Sudan, translation.